Redmi 4a Rs. 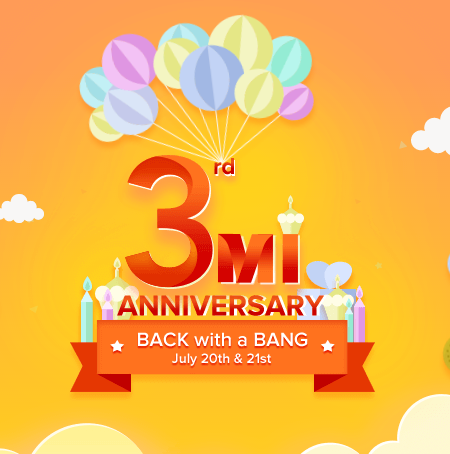 1 | Redmi 4a Flash Sale | Mi 3rd Anniversary Sale. Click here register and share it on Facebook. You can also win using Bid to Win Redmi mobiles @ 2 PM| 4 PM | 6 PM | 8PM on 20th July and 21st July.